I've had a change in work environment over the last few weeks that's brought out the coat and tie look as normal wear. It's also given me the opportunity to drag out some watches that didn't get as much wear as they deserved. 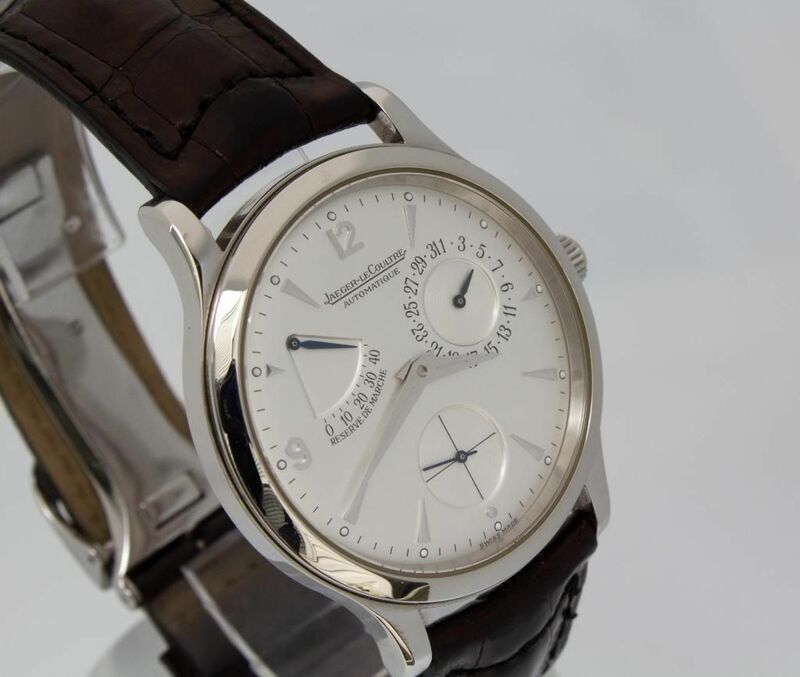 My first "good" watch, way back in 2006 when I joined TimeZone, was the JLC RDM (37mm!). I picked up the MUT 38 not long after, and the RDM hasn't seen the wrist time it deserves for quite some time. I've even contemplated trading it towards (probably) a Reverso. It came out again this week. I meant to get a wrist shot, but MY cat had surgery Tuesday, and I changed to spend time with her every night this week. But, it was, and remains, one of the most perfect watches out there! There are others still calling, but I think the RDM is here to stay! Old Photo but you've seen it! Next Topic: What's everyone wearing and doing this weekend?